I love a good fold over clutch! 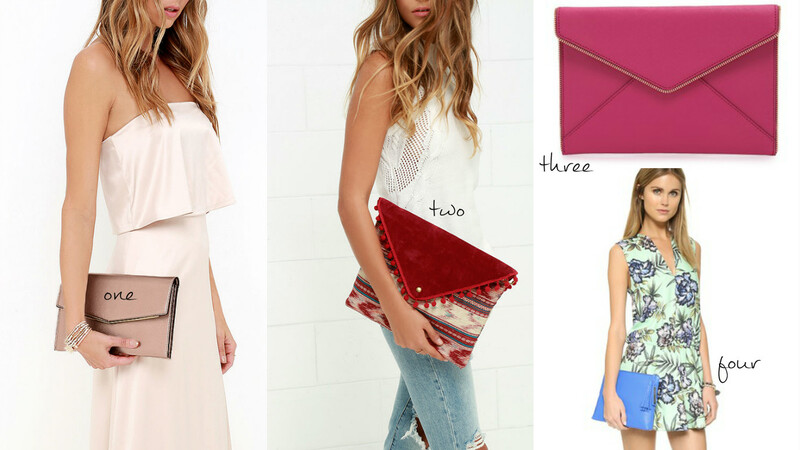 The envelope clutch is my personal favourite! A nice fold over clutch is definitely a staple in my closet. But every gal could use a glam clutch for a festive night out. Great selections! Looove your picks! I've been on the hunt for the perfect clutch for like over a year now. I'm really into the burgundy one you chose! It's amazing what a bag can add to an outfit. 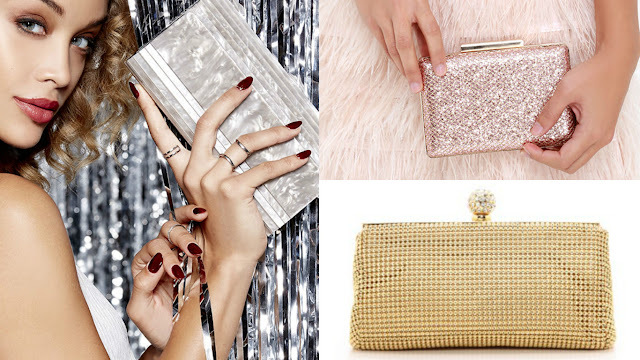 Great clutches! I love the envelope clutch! Perfect for any walks and events. I seem to use the fold-over clutch the most. I find it the most versatile. I have the Clare V leopard print and it just goes with everything! 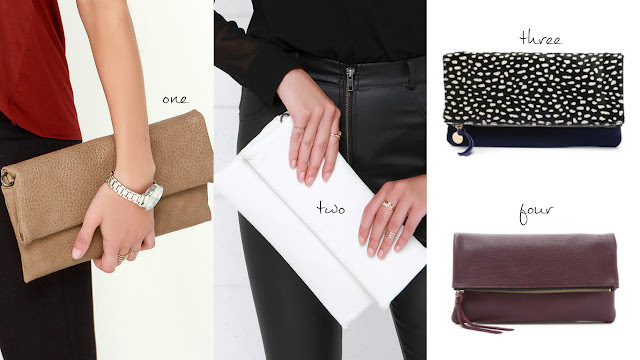 I love envelope clutches. They are usually pretty large so I can fit all my essentials in it for a night out!